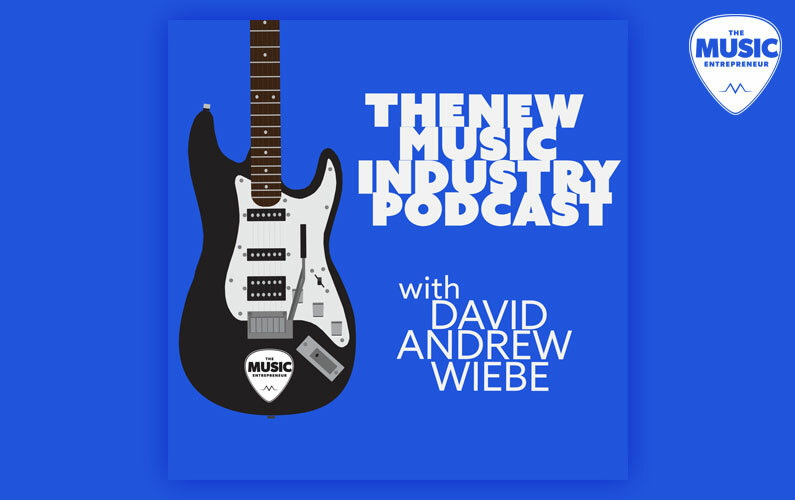 After roughly six months of hiatus from the podcasting world, David Andrew Wiebe finally makes his return to the microphone with The New Music Industry Podcast. Launch week will feature five episodes in total, four with special guests that have yet to be announced. New episodes will be published Monday, Tuesday, Wednesday, Thursday, and Friday, with today’s episode already live. Today’s Episode 0 is a brief look into what you can expect from future episodes of the show: solo episodes, interviews, and more. But why did Wiebe decide to put podcasting on hold in the first place? His last podcast was known as DAWCast: Music Entrepreneurship, a name that never seemed to resonate with its intended audience. Firstly, D.A.W. is Wiebe’s own initials – David Andrew Wiebe. Engineers will also be familiar with the term DAW (Digital Audio Workstation), computer software used to record and produce music. The “cleverness” is in its double meaning. But you can’t assume listening audiences will pick up on such details, which is why Wiebe has opted for a much simpler approach. “The new podcast is called The New Music Industry Podcast. I think it’s an appropriate name, because it’s pretty obvious what it’s about,” Wiebe commented. The New Music Industry also happens to be the title of Wiebe’s latest book. With four more episodes going live this week, The New Music Industry Podcast will be one to keep an eye on. Tune in for your weekly dose of industry insight.